The Dominican Republic is famous for its lush nature, beautiful beaches and the kindness of the people living on this island. You might have heard of the all-inclusive resorts in Punta Cana and Puerto Plata, but there are also other regions to discover in the Dominican Republic. In recent years eco-tourism in the Dominican Republic has experienced a substantial growth, which leads to more and more hotels available for a close-to-nature experience in an eco-friendly environment. We at Dominican Expert have created a list of the 10 best Eco-Lodges in the Dominican Republic that not only offers a unique accommodation off-the-beaten-track, but will also be the highlight of your vacation! The name pretty much says what you can expect. The Natura Cabana Eco-Lodge is a beachfront boutique hotel in Cabarete, focusing on health, wellness, natural products, organic food and yoga. The 12 bungalows, built with natural materials such as mahogany, bamboo, coral and artistic stonework, are embedded in a tropical garden and offer a beautiful terrace. You can have a relaxing massage at the beach or a full spa treatment with organic herbs from their own garden. The restaurant treats you with healthy food and detox smoothies! While staying in this Eco-Lodge, listen to the sound of the waves while you are in your tropical open-air bungalow, enjoy some watersports or yoga at the beach of Cabarete and taste the healthy, organic food while looking at the ocean. What to do while you are here: Improve your Yoga skills, take some surfing classes at the El Encuentro Beach and visit the historic town of Puerto Plata. Interested? Check out the full description here and contact Dominican Expert to book or for further information. 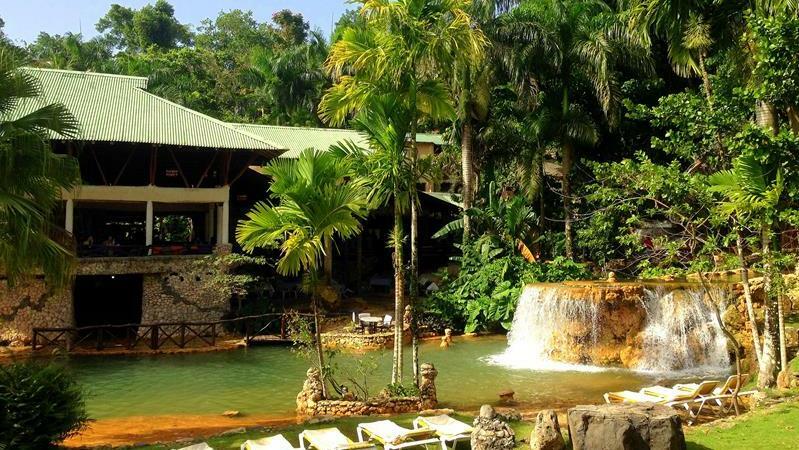 If you are looking for a secluded Eco-Lodge within a national park and surrounded by nature, then Paraiso Caño Hondo is the perfect hotel for you. Located about 2.5 hours from Punta Cana, this natural oasis offers rustic rooms, an open restaurant and a river system that creates natural pools and waterfalls around the whole property – that’s why we usually call it a waterfall eco-lodge. Some of the rooms offer a spectacular view over the bay of San Lorenzo and wide parts of the Los Haitises national park. The peace and quietness of this place is truly magical and if you are a water(fall) lover, this eco-lodge definitely is a must visit on your vacation in the Dominican Republic. What to do while you are here: Take a boat excursion to discover the mangroves and caves in the national park, do a bird watching tour with a guide in the rain forest or just relax in the cool waters of the natural pools! One of the most rustic but also most amazing Eco-Lodges in the Dominican Republic is hidden deep in the south-west of the country. 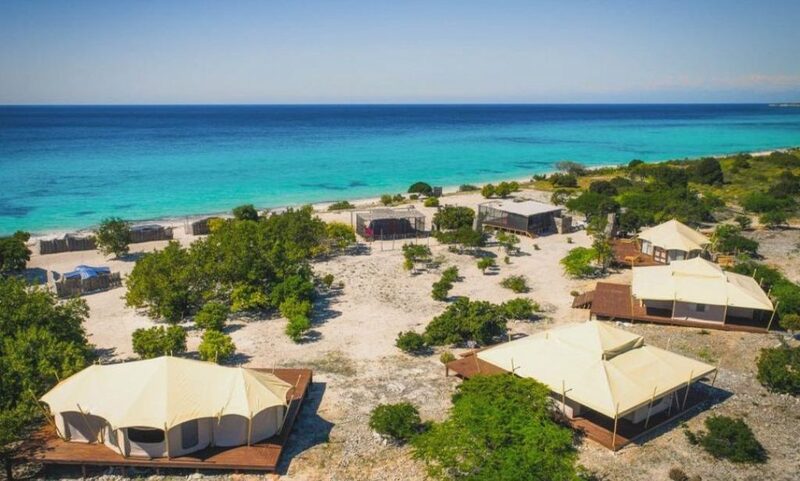 Eco del Mar is a tented camp directly at the pristine and beautiful beach of La Cueva, which is the departure point to the famous beach of Bahia de las Aguilas. It offers basic tents with a mattress, shared bathrooms and a unique and iconic beach bar – a true glamping experience. If you are looking for something more comfortable, Eco del Mar also has four suites. These wooden structures offer an full size bed and a spacious living room. They also feature a big terrace and a private bathroom with outdoor shower. Prepare yourself for the most amazing sunset scenery you can get! What to do while you are here: We definitely recommend the boat excursion to Bahia de las Aguilas, which is considered to be one of the most beautiful beaches in the world. 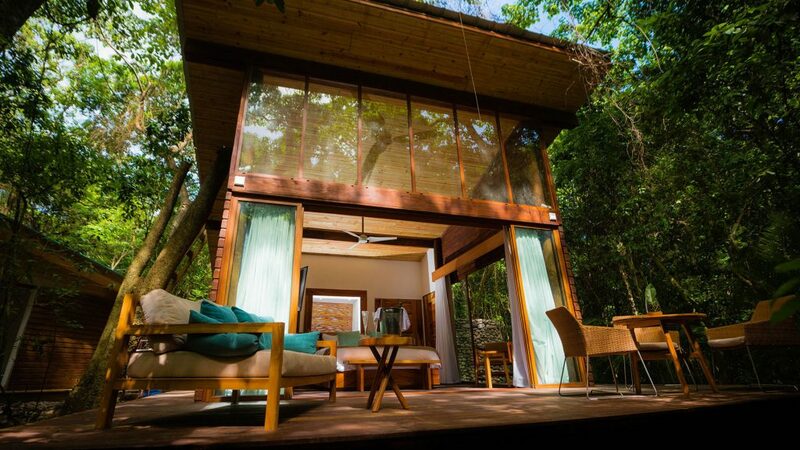 This new Eco-lodge is located on the Samaná peninsula, the most beautiful region of the Dominican Republic. Completely surrounded by untouched nature, Unique Eco-Hotel is divided in two parts. 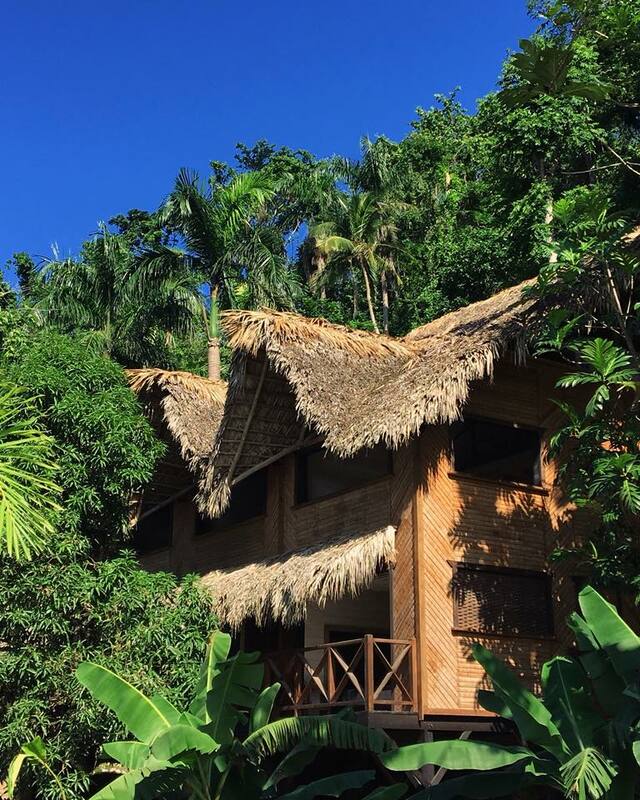 The main building with the jungle view rooms, reception and kitchen are located about 0.3 miles from the beach, while the beach rooms are located in a separate building, directly at the wild beach of El Valle. All rooms have a rustic design and are in perfect harmony with nature. The highlight definitely is the open wooden kitchen, where it feels like you’re eating in the middle of the jungle. The still untouched nature combined with the open design of the structures and the magical atmosphere of the El Valle beach make this Eco-Lodge a unique place to stay in the Dominican Republic and the whole Caribbean. What to do while you are here: Take some surfing lessons at the beach of El Valle, do some zip lining in the mountains around the Eco-Lodge or find the hidden waterfall! 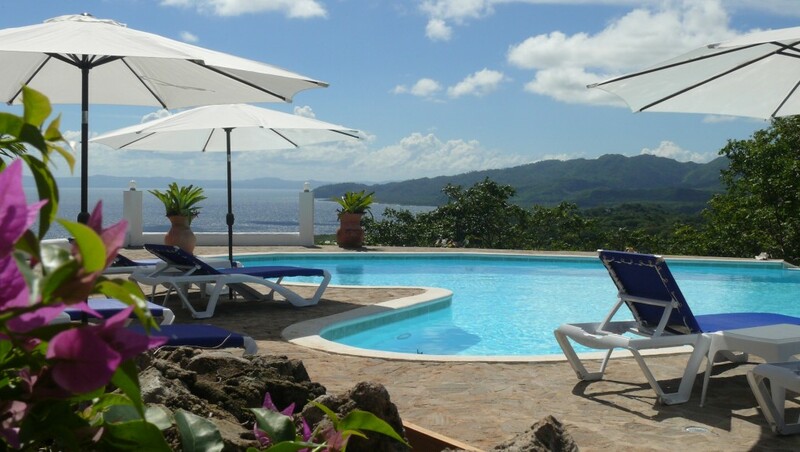 The Samana Ocean View Eco-Lodge is rather a bungalow property focusing on the beautiful nature of Samaná than an ordinary hotel. The 14 bungalows can only be rented together, which is perfect for big families, yoga retreats, intimate destination weddings and small incentive groups. What makes this accommodation so special is the breathtaking view you have over the ocean as well as the surrounding hills. During the mating season of the humpback whales from January to March you can even see these huge mammals right from the terrace of your room or the stunning infinity pool. 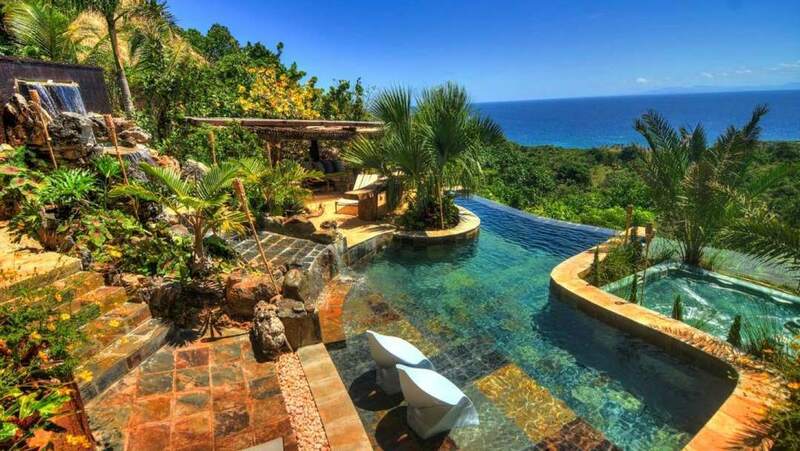 If you’re looking for an Eco-Lodge with enough rooms, a lot of privacy and a big pool while enjoying stunning views, the Samaná Ocean View Eco-Lodge is the perfect choice for you! What to do while you are here: Take a walk to hidden caves or the natural fountain “Boca del Diablo” and go on a boat trip to the stunning beaches of Playa Fronton and Playa Rincon. Additionally the lodge offers its very own secret river tubing. 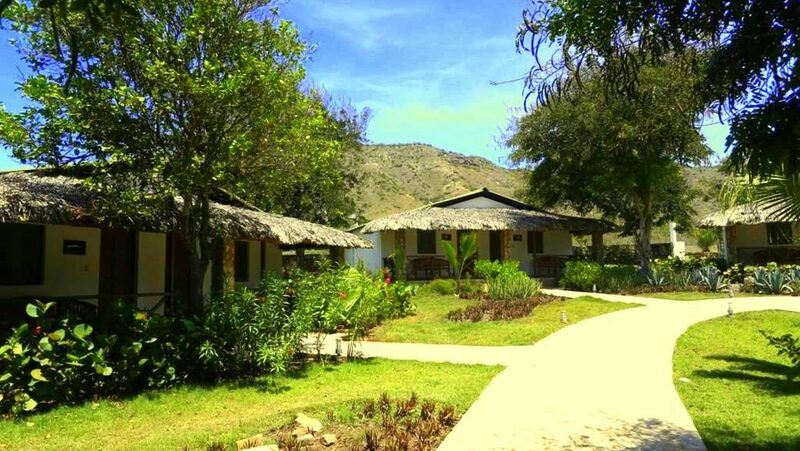 This Eco-Lodge is located in Monte Cristi, one of the most remote places in the Dominican Republic! The town is directly at the border to Haiti and tourism hasn’t really reached this part of the island yet. This small boutique hotel is located next to the iconic rock formation of El Morro with its dramatic and beautiful bay. The Eco-Lodge offers 12 cozy rooms, a pool with ocean view and a small restaurant and is therefore perfect for visitors looking for a relaxed atmosphere in a place in the Dominican Republic most travelers have never heard of. It is also a strategic location if you are planning to visit Haiti! 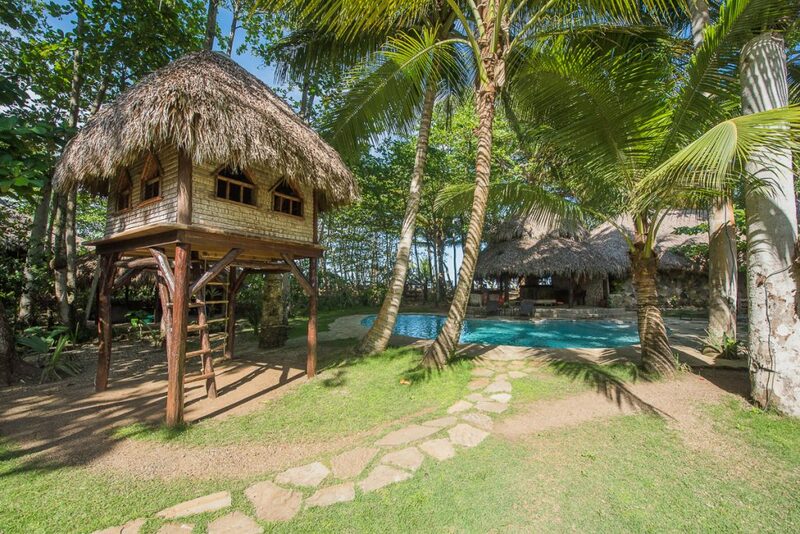 If you are heading to the deep south-west of the Dominican Republic, we recommend you to plan a stay in the unique and luxury Eco-Lodge Casa Bonita. Located on a lush hill shortly after the town of Barahona, this upscale boutique hotel offers the perfect mixture of luxury vacation and ecological retreat. Especially the newly built River Rooms are an oasis of peace surrounded by lush nature while listening to the sound of the river flowing downstream. Enjoy the spa located in the deep jungle of the hotel as well as the restaurant overlooking the infinity pool and the ocean. The Eco-Lodge even has its own zip line that you can try out! What to do while you are here: Go visit the famous Larimar mines only found in the Dominican Republic or take a tour to visit the Lake Enriquillo that is a habitat for wild iguanas and crocodiles! A Caribbean Eco-Lodge like you have never seen it before! This small property offers 6 completely different rooms with stunning views over the ocean. Each room has a theme and unique interior design, while most of them offer an open room concept, so no walls towards the ocean! 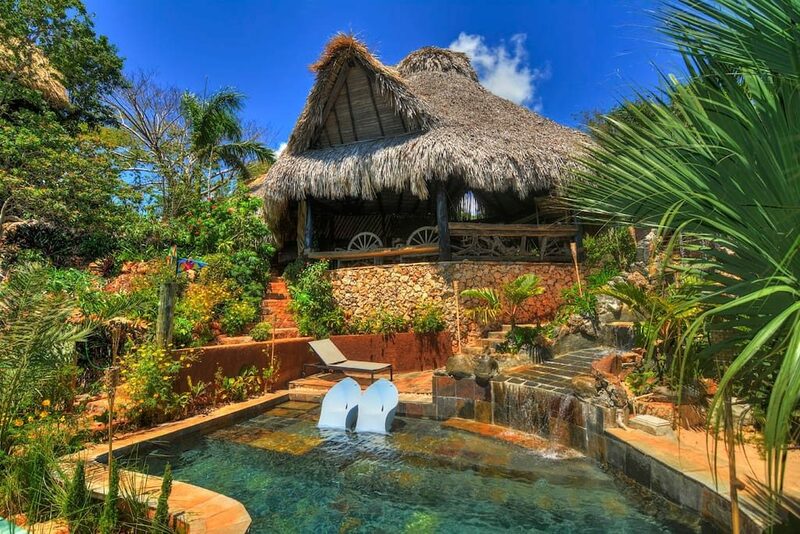 Casa Paraíso has a beautiful infinity pool and a wooden beach bar with a BBQ. On top of that, the private Italian chef will spoil you with delicious dinners you will never forget. During the day and the right season, you can also see the humpback whales playing around in the nearby ocean. Take a hot shower surrounded by nature and sleep watching the stars while hearing the waves smashing against the cliffs. 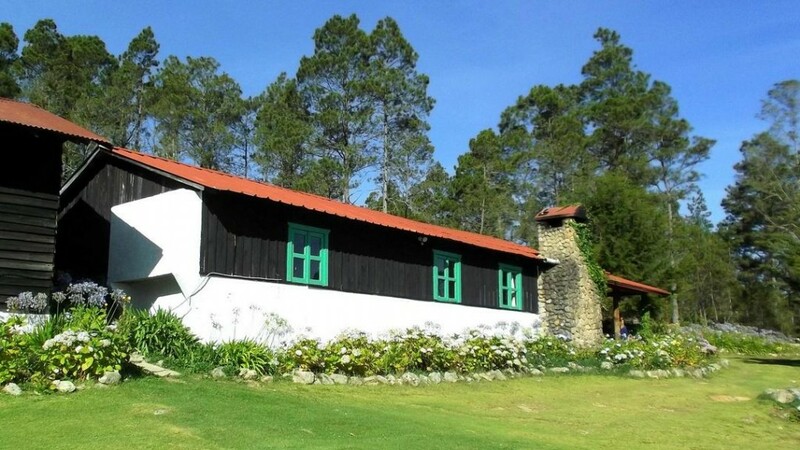 Up in the mountains close to Sosua and Puerto Plata you can find the rustic but authentic Tubagua Eco-Lodge. It offers three different housing options for different budgets and a common area with an open wall concept and amazing ocean views. As one of the leading sustainable hotels of the Dominican Republic, this Eco-Lodge focuses on the local community and completely integrates it into the daily business. If you are craving for a family-style menu and the sustainable approach of eco-tourism in the Dominican Republic, Tubagua definitely is the right choice for you. What to do while you are here: Go hiking with the local guides to the marvelous Gods Swimming Pool or sign up for our “local culture tour” where you are going to explore the surrounding rural area and communities. You can’t be more into nature than in the highest hotel of the Caribbean and on the same time the most remote Eco-Lodge of the Dominican Republic. Villa Pajon is located at an altitude of 2.300 meters (around 7.000 feet) and features rustic but absolutely charming wooden bungalows with a spectacular surrounding area, including breathtaking views over the mountain range of the Cordillera Central. Here you will unite with the green scenery, as the next village is a 1 hour drive away and access is only possible via a dirt road suitable for SUVs and 4x4s. As the cold temperatures here are absolutely uncommon for the Dominican Republic you might have to change your typical Caribbean Cuba Libre to a hot tea, but you would not want to miss out on this absolutely unique experience away from the Dominican Beaches. What to do while you are here: Explore the surrounding area on the marked hiking trails or simply enjoy the peace and tranquility from the rocking chair of your terrace. 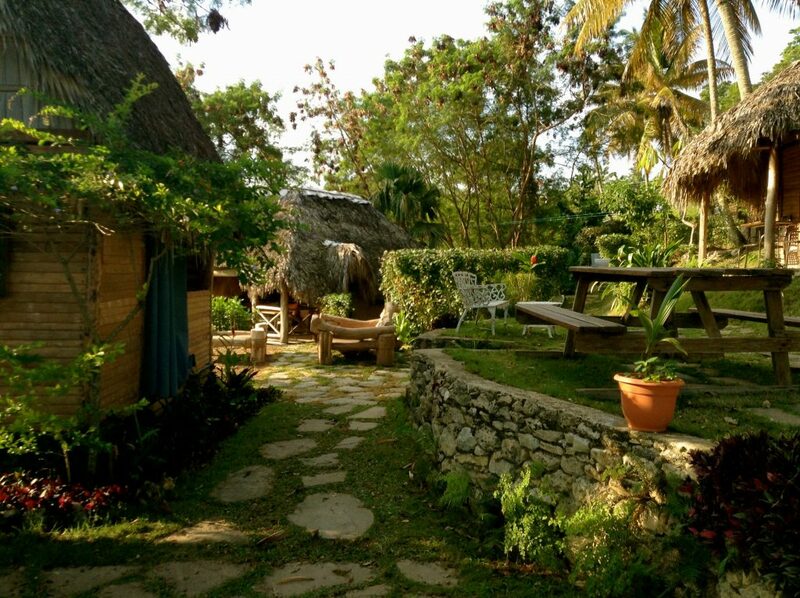 Would you like to discover the amazing eco lodges in the Dominican Republic?